Angell Expeditions, owned by Charlie Angell, expert wilderness guide, who is very knowledgable about the areas Cabeza de Vaca visited in the Big Bend region (La Junta de los Ríos and northwest). UPDATE : Listen to my interview with Charles Angell. A very unusual elderly artist whose polkadotted pumpkins fetch the price of a ski condo. I was thinking just the same thing the other day when I had to upgrade my operating system for the second time in a year. By someone who has a highly strange sense of humor. Cool, generous, amazing, engaging, and frequently updated. Highly recommended. Sign up for the free newsletter. Yikes, 2 million plus views already! Hopping freaked about about that 2010 Supreme Court decision, Citizens United vs Federal Election Commission? Ken Gordon is doing something about it and so can you. 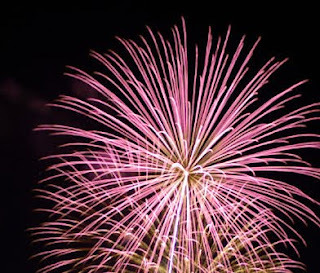 Warmest wishes for the new year and welcome to all, and an especially warm welcome to those of you who are new to this list. There's something in this newsletter for writers, anyone interested in Mexico, Iceland, undercover CIA agents (yeah!) and West Texas. 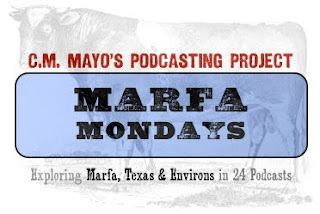 Today, Monday, January 16, 2012 is the launch of the Marfa Mondays Podcasting Project: Exploring Marfa, Texas and Environs in 24 Podcasts, one per month through 2013. This project is lieu of (though maybe in addition to) writing magazine articles as I proceed with a book project the title of which... well, it's way too early to say much about that. Suffice it to say it will be a travel memoir about West Texas. >>Listen in to today's podcast here. The next Marfa Mondays podcast will go live on Monday February 20th. 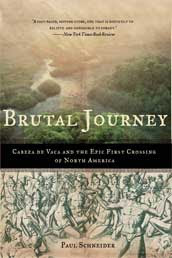 I am not sure yet but I expect it will be about Cabeza de Vaca's epic journey through the region in the 16th century. It's been an age since I did some travel writing. My book on Baja California, Miraculous Air, came out in (ayy!) 2002. Since then, I published a couple of long essays in literary journals, (The Essential Francisco Sosa or, Picadou's Mexico City and From Mexico to Miramar or, Across the Lake of Oblivion), but almost all my recent writing has been either blogging or fiction, e.g., The Last Prince of the Mexican Empire (2009), another novel in progress, and translations of work by Mexican writers Agustín Cadena, Álvaro Enrigue, and Francisco I. Madero. I am very much looking forward to doing more travel writing; apart from venturing into odd corners of the world, one of the things I love about it is the chance to interview people. Follow the Marfa Mondays Podcasts on twitter @marfamondays or sign up for my free newsletter here. One of my resolutions for 2011 was to read War and Peace. This was, in fact, also a resolution for 2009 and for 2010... so, round about late October, I realized that if I didn't want to (sigh) put it on my resolutions for 2012 list, I'd better get cracking. It also occured to me that, as a novelist myself and a creative writing teacher, it would be an excellent exercise to keep a blog. It turned out that throughout a rather crushing holiday season I was able to keep up with the reading but not, alas, the blog. I'm almost caught up with the blog, however. Meanwhile, you can check it out here. Final word: wow. War and Peace is one of the best books I have ever read. It does take some investment and persistence, especially in the first few chapters, but it will blow the top of your head off. I'll have quite a bit more to say about it in the next few days as I finish up the blogging there. UPDATE (January 14): The Reading War & Peace is finished-- check out the conclusions (no worries, not a plot spoiler) here.